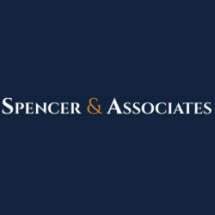 SPENCER & ASSOCIATES, located in Woodland Hills, California, is different from many other personal injury law firms. We are a full-service personal injury law firm, handling all types of motor vehicles accidents, wrongful death, roadway design cases, catastrophic injuries, dog bites, slip/trip-and-fall cases and many others. LEAD ATTORNEY Richard Spencer handles every case personally. At Spencer & Associates, we never hand our cases off to assistants or paralegals. As a result, each case and every client gets the professional experience, dedication and focus necessary to pursue optimal results. Backed by more than 19 years of experience, Mr. Spencer has helped people all across the San Fernando Valley seek the most favorable possible resolution to their personal injury concerns. WE MAINTAIN close contact with our clients and keep them informed throughout the entire process. Not only does this help create the best relationships with our clients, it also empowers our clients to make the best decisions in their case. WE STAND OUT in our field because we are driven by aggressively pursuing the best results in every case while providing attentive, hands-on customer service. If you are in need of a personal injury lawyer, we are available 24/7 to speak with you about your case.